Good morning, all! 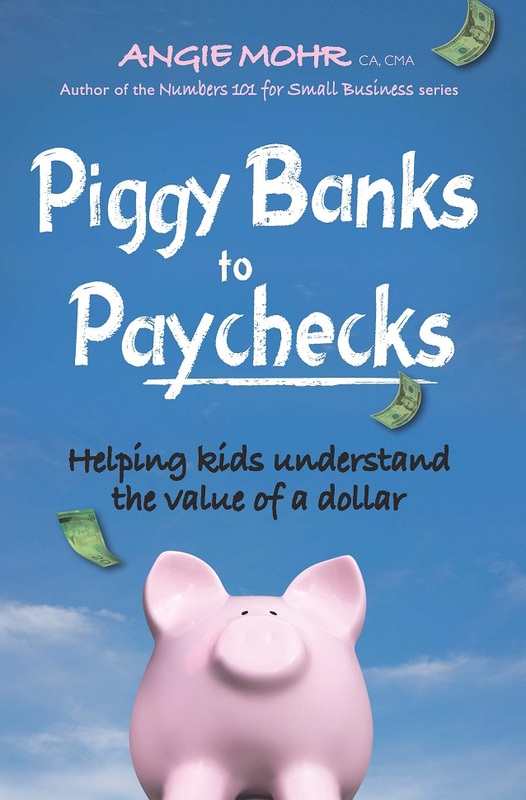 Today, I'm going to publish an excerpt from my new book, Piggy Banks to Paychecks: Helping Kids Understand the Value of a Dollar. This book is an important resource for parents and teachers who, themselves, are unsure of money concepts. Learn how to teach kids about wise spending, saving, donating/tithing, and investing. For more tips on raising money smart kids and excerpts, join me on my March book blog tour here. When my daughter was six years old, she asked me, “How come the mailman gives you money?” It took me a moment to puzzle through her question. As far as I knew, the mailman had not given me anything but my mail in all the years I had known him. No flowers, no gifts, and certainly not any money. After a moment, I realized that she was talking about my income. Most of my income comes by way of check through the mail. Even though my daughter and her brother are well-versed in money matters, misconceptions still arise. How much do your kids know about where your income comes from? Do they know what you bring home every week or two? In order for them to truly understand the need for saving and wise spending, they must understand where money comes from and why it is a scarce commodity. You may be afraid that, if you tell your children how much you make, the entire town will know. Have a discussion with your children about discretion- it’s okay to talk about the specifics of your family’s financial situation at home but not with friends, teachers, or other people in the community. It’s not safe to discuss money matters widely just like it’s not safe to let everyone know that you just bought a new flat-screen television. Also, explain that talking about money with friends can make some kids feel bad or anxious about their own family’s financial situation. Many kids under 10 do not naturally make a direct connection between their parents going off to work every day and having enough money for household expenses. Because most types of pay are now given by check or by direct deposit into a bank account, it’s easy even for adults to sometimes lose the connection. Find out what your kids know about what you do for a living. Do they know how you get paid (by the hour, salary, or commission)? Do they understand how you got your job or started your business? Earning money is the first step in financial security and kids need a basic understanding of how money comes in the door in the first place. Older kids may have more philosophical questions for you such as why you do the kind of work you do. The discussion may start to move towards career choices, but the basic principle of the conversation should be that people work to earn money to live.